Several people involved in the development of early aircraft were aware of its potential to launch a long-range bombing attack deep inside enemy territory. In 1914 the Germans planned to send fleets of aircraft to bomb cities, factories and military installations in France and Britain. Only the German Zeppelin airship's could reach the targets deep in enemy territory, but there were only a few of them and they were extremely vulnerable to ground fire. Paris suffered regular raids during March 1915, and London experienced its first attack in May 1915. The Russians had a few Sikorski 1M heavy bombers and the Italians had Caproni bombers, but both were fairly ineffective. By mid 1917 the German Gotha began long-range operations against Britain and France. Britain also developed new bombers such as the Handley Page and Airco DH-4. Good anti-aircraft guns and fighter planes made it very difficult for bombers during daylight. When bombers were used at night they found it virtually impossible to find and hit specific targets. It was only after the end of the First World War that it became possible to carry out the policy of strategic bombing, envisaged by people like Hugh Trenchard, chief of staff to the RAF. It has been estimated that during the war, 254 metric tons of bombs were dropped from aircraft, causing over 9000 casualties. (1) Major Philip Babington issued a report suggesting how to organise bombing missions. It is therefore imperative for the whole 18 aircraft of a fighter squadron to make a simultaneous attack. This will have great moral effect and the defending gunners will be disconcerted. Once the formation breaks, small groups of scouts can deal with stragglers, and then re-group and make another squadron attack on the remaining formation. 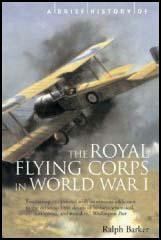 (2) On 2nd September 1916 Lieutenant W. L. Robinson reported how he shot down a Zeppelin over England. I climbed to 10,000 feet in 53 minutes. I saw nothing till 0110 hours when two searchlights picked up a Zeppelin south-east of Woolwich. By the time I had managed to climb to 12,000 feet. I made in the direction of the Zeppelin which was being fired on by a few anti-aircraft guns. I very slowly gained on it. It went behind some clouds, avoiding the searchlights, and I lost sight of it. After 15 minutes fruitless search I returned to my patrol. At 0105 hours a Zeppelin was picked up by the searchlights over north-east London. Remembering my last failure I sacrificed height for speed and made nose down in the direction of the Zeppelin. I flew about 800 feet below it and distributed one drum from my Lewis gun along it. It seemed to have no effect. I then got behind it. By this time I was very close - 50 feet or less. I concentrated one drum on the underneath rear. I hardly finished the drum before I saw the part on fire. In a few seconds the whole rear part was blazing. I quickly got out of the way of the falling blazing Zeppelin and, being very excited, fired off a few red lights and dropped a parachute flare. (3) While on leave from the Western Front William Brooks and his girlfriend witnessed a Zeppelin raid. One night, we watched a Zeppelin raid on the Woolwich Aresnal. The German Zeppelin was sort of hovering over the building dropping bombs and they scored a couple of direct hits, causing massive explosions. We felt the blast two to three miles away. A few small bi-planes of ours went up to attack it but the Zeppelin had heavy machine-guns mounted in the cabin slung beneath it and, being almost stationary, could take careful aim on a plane. So our brave airman stood no chance. But one little plane went up, one of those double wing ones with all the struts holding the wings together. Well, this pilot flew above the Zeppelin and dropped bombs onto it. One hit it square on - flames started to light up the night sky. She was on fire all right. Everyone in the street started to cheer. My dad was watching through a small telescope he had and said he could see the men on the Zeppelin inside the cabin rushing about throwing ropes over the side, and other things, trying to lighten the ship. Anyway, its main engines started up with a roar and she slowly began to move away with smoke pouring out of her. Well, dad said they knew they were done for, but were going to try and make it home. As it pulled away it looked like a huge wounded animal and going to die. It crashed in flames over Essex before it made the Channel. I know they were our enemies but I couldn't feel sorry for them. That was the last of the Zeppelin raid. They proved too vulnerable. (4) Lieutenant Robinson used new explosive and incendiary ammunition to bring down the Zeppelin. Robinson's commanding officer advised him not to reveal information on this new ammunition. It is very important that the successful method of attack remains secret, and instructions have therefore been issued that the public are to be told that the attack was made with standard bombs from above. (5) London's Anti-Aircraft Commander, Colonel L. Simon, was unconvinced by Lieutenant Robinson's claim that he shot down the Zeppelin. There can be no doubt that the Temple guns crippled the enemy aircraft simultaneously with the arrival of Lt. Robinson on the scene. The gunfire was twice corroborated by distant observations. Corroborative evidence from searchlights illuminating the target pointed to a sudden drop in the height of the airship before she caught fire.